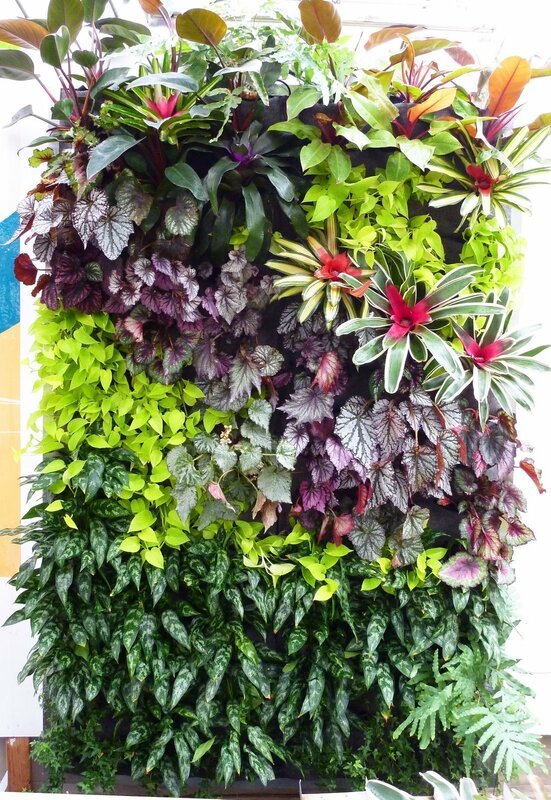 These two vertical gardens are on display at SF Foliage in San Francisco. 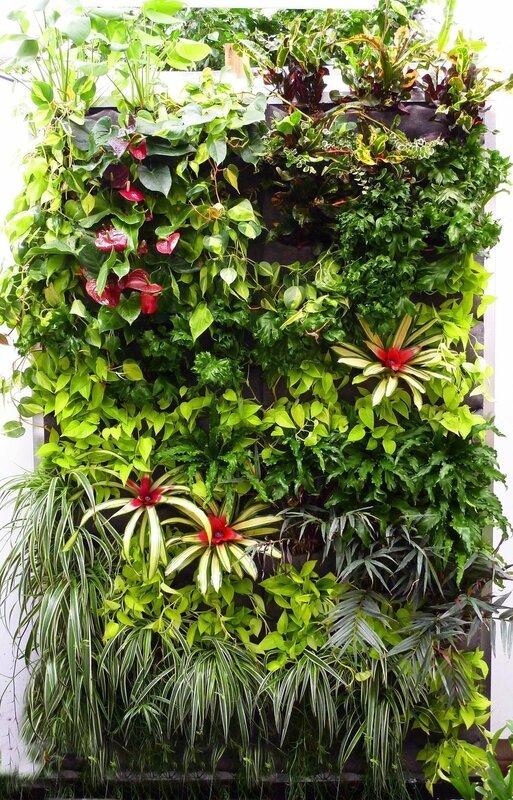 Each living wall measures 5-1/2′ wide by 8′ tall. The walls were originally planted in May of this year. After two months the walls have grown in with very little attention. Today we re-arranged the plants slightly to make some design improvements and add some fresh color.